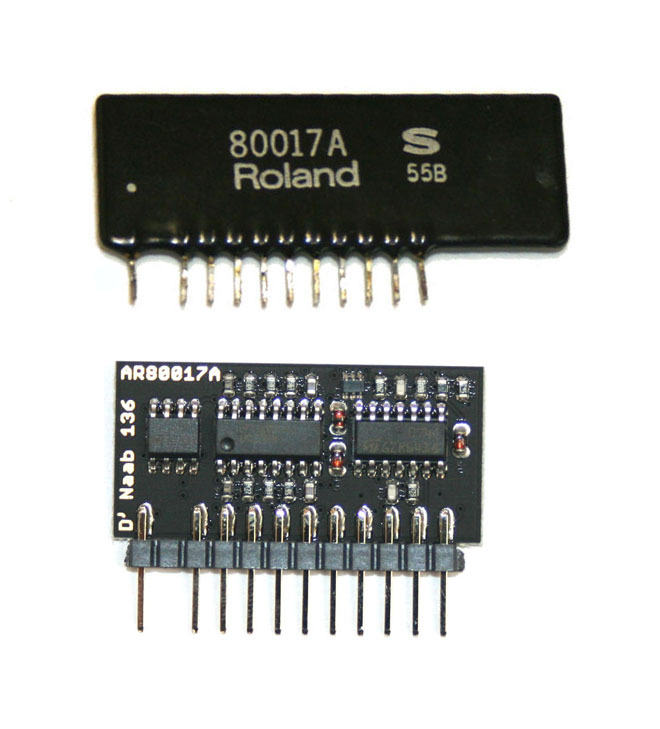 Analogue Renaissance AR80017A voice chip, for Roland synthesizers. A faulty voice chip is often the cause of random notes not playing, or of random notes hanging. The stock voice chip (Roland 80017A) appears as in the top photo. Because the original Roland chips are prone to failure, we sell brand new clone chips made by Analogue Renaissance (lower photo). These clones sound identical to the originals, and are much more robust physically.